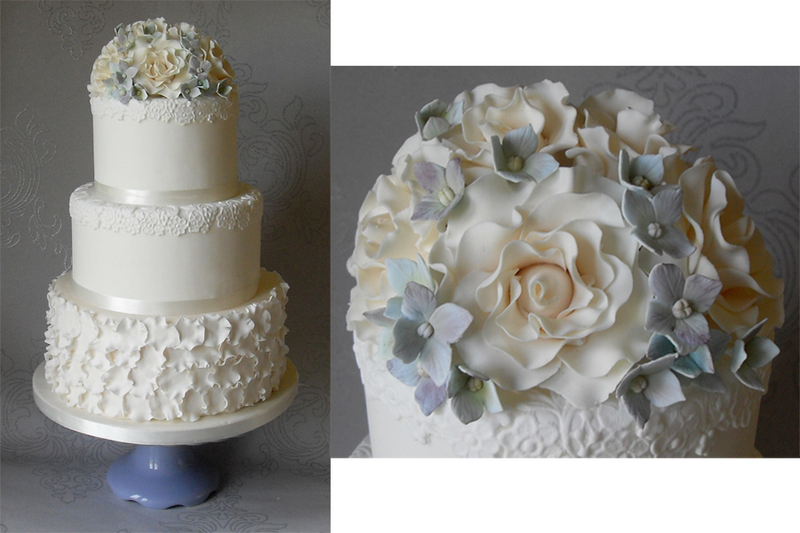 Wedding cake with frilly petals and lace detail, topped with roses and blue hydrangea flowers. Wow! Beautiful and unique wedding cake. Love it! Thumbs up for sharing this to us.